Your experience of this enchanting Kingdom may well begin with a spectacular flight over the Himalayas into the Paro valley. There are views of the world’s highest, most majestic peaks and of the approaching valley with its alpine forests, monasteries, temples and farmhouses nestled in splendid mountain isolation. 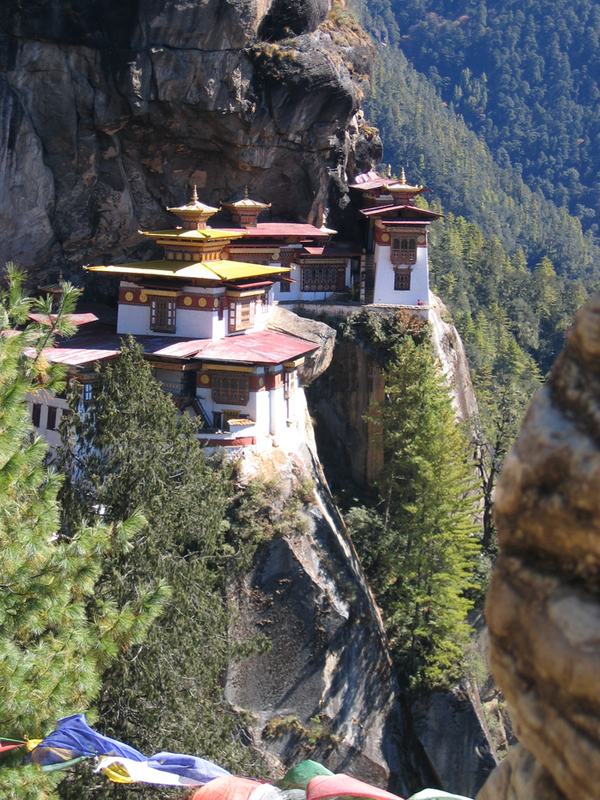 Bhutan’s most famous monastery, the famous Taktsang “Tiger’s Nest” Monastery is set precariously on a hillside. This monastery was built in the 1600’s and clings to a sheer rock cliff that plunges 900m above the valley. Paro is also home to many of Bhutan’s oldest temples and monasteries; the Rinpung Dzong is a fine example of Bhutanese architecture.